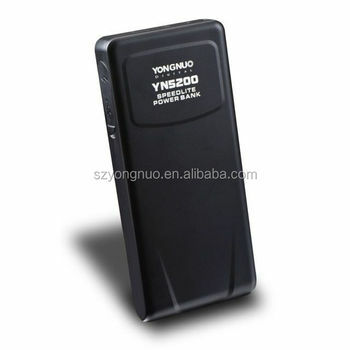 YONGNUO YN5200 is a professional power bank for Speedlite. The built-in 11.1V 5200maH large-capacity lithium battery supports the connected Speedlite of full output about 2,000 times, and the full output time is only 1 second, realizes quick recycle and not miss any moment. It is especially suitable for the continuous shooting of external scenes, and the product is equipped with a USB port, which can be used as a mobile power supply for digital devices. Using standard flash cable, supports YONGNUO YN560 series, YN660 series, YN565 series, YN600EX-RT (II) Speedlite, YN968EX-RT, YN968N, C's 580EX II, 600EX-RT (II) and other models with external power input port to realize quick recycle function.